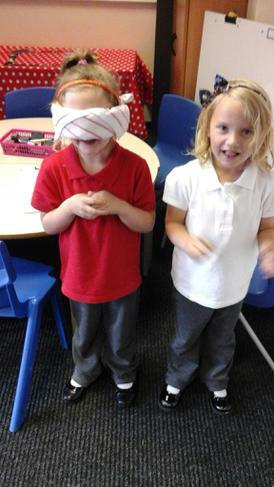 We will be learning about what we look like and we will be looking at the similarities and differences we have to other people. 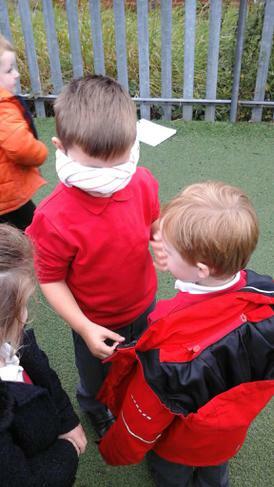 We will be learning how to label a picture and how to label our bodies. 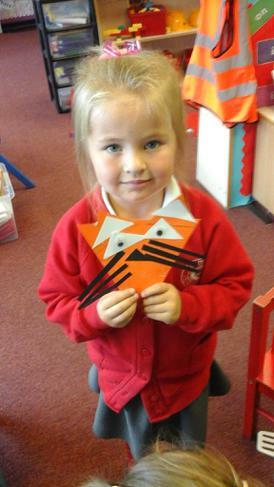 We will be learning how to draw a picture of ourselves and our families. 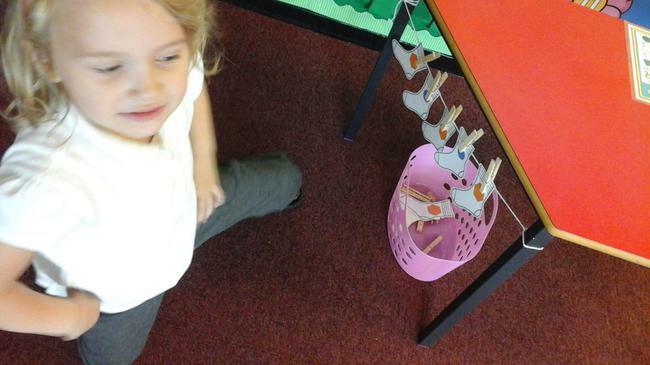 We will be learning about our bodies and how we use them. 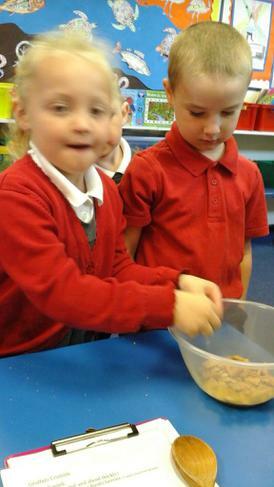 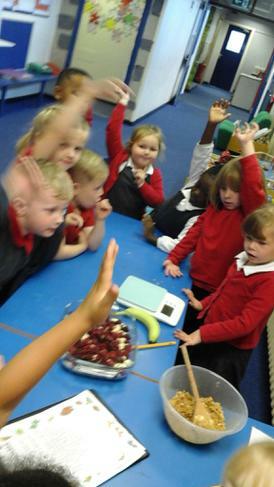 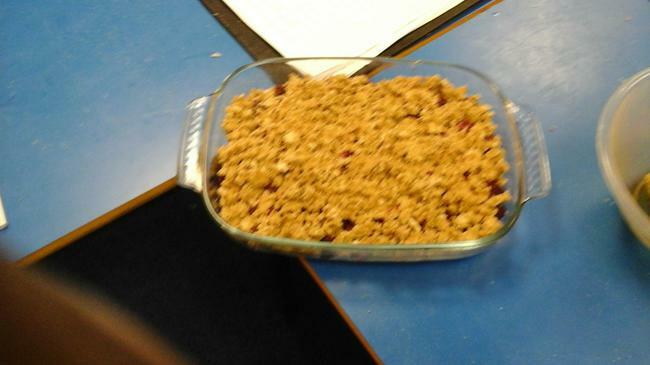 We will be learning about our senses by smelling, feeling and looking at different foods. 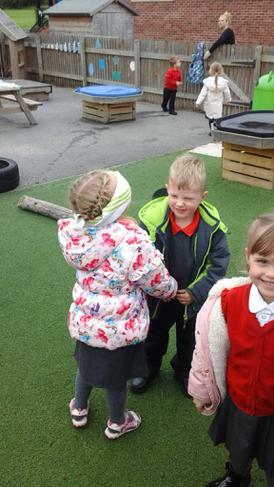 We will be learning about what we can do now compared to when we were babies. 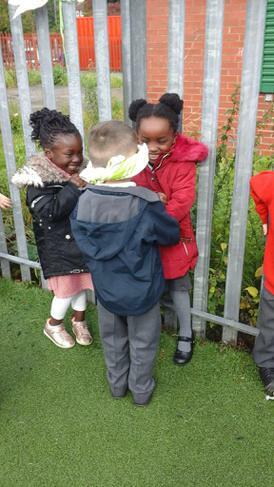 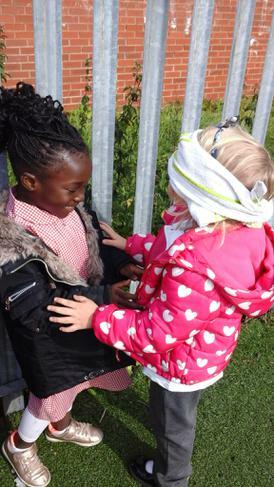 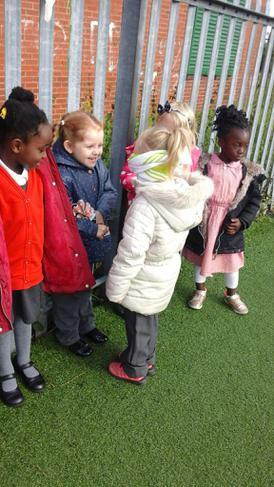 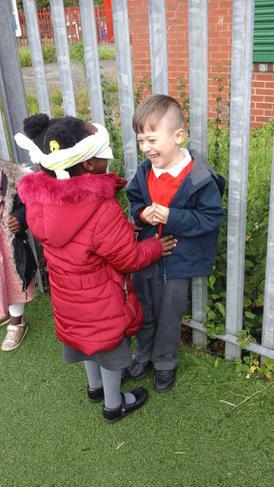 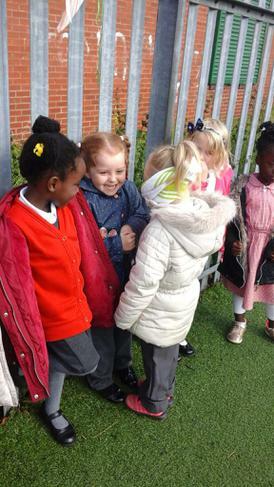 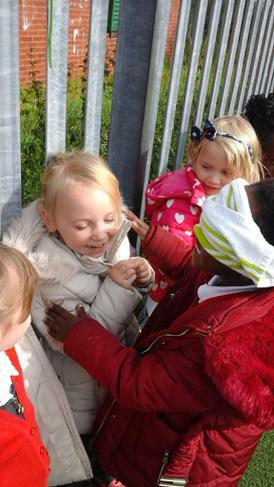 We will be learning about what makes a good friend. 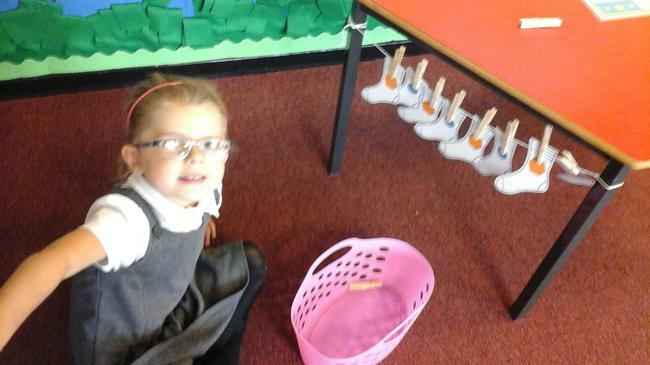 We will be learning about what the children are good at and why it is great to be them. 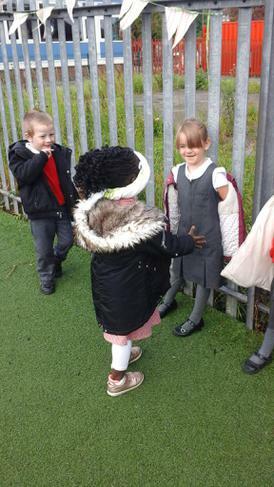 We will be learning how to talk about people who are special and important to us. 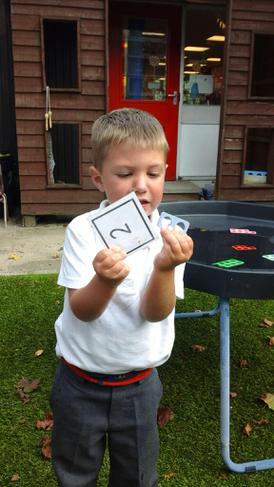 We will be learning how to match the correct amount of people to numerals, how to use positional language, and how to order two objects by size. 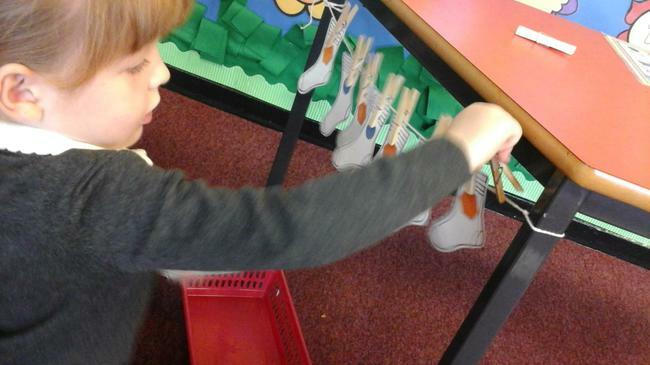 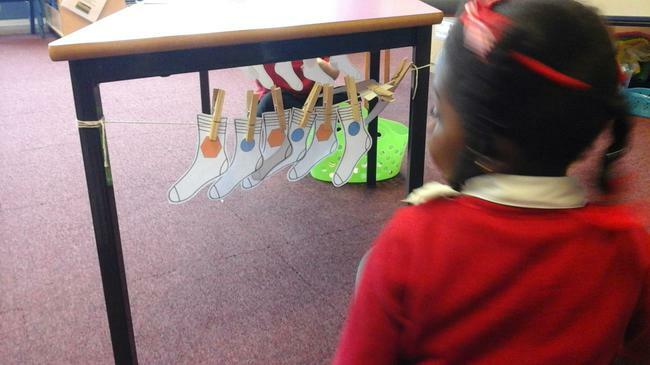 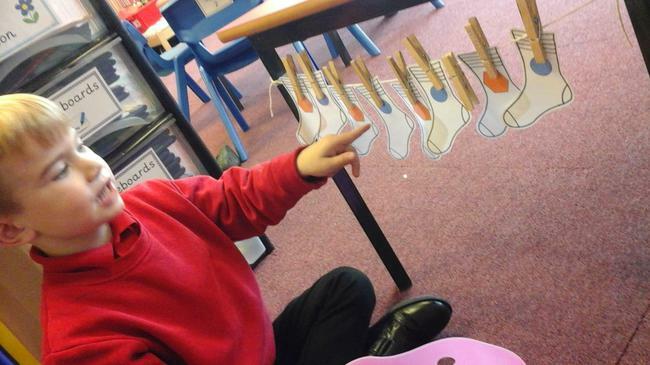 We will be learning the different noises that musical instruments make using our ears. 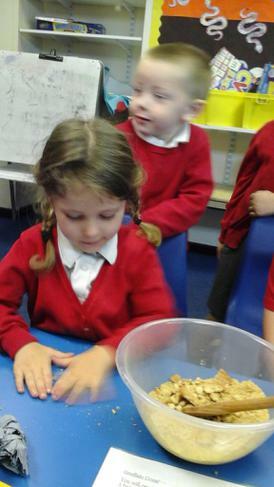 Looking at photographs of family and friends and talking about past times. 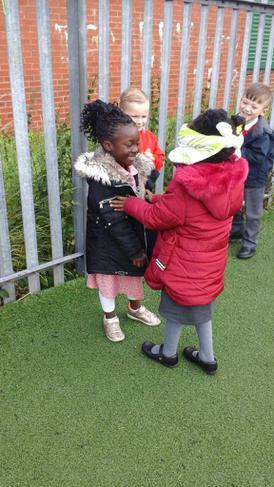 This week the children have been getting to know themselves. 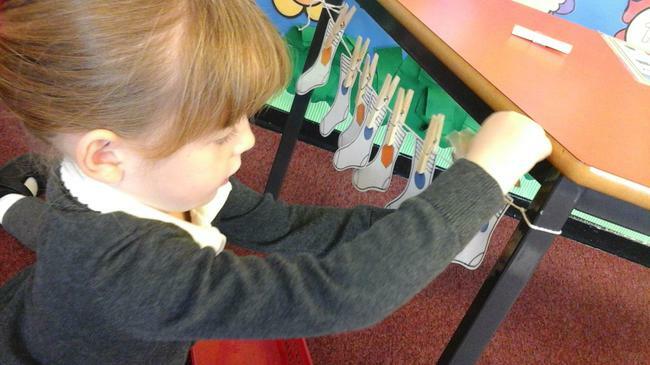 The children have been using mirrors to look closely at their faces and then they have very carefully been painting self-portraits which have now been displayed outside the Reception classroom. 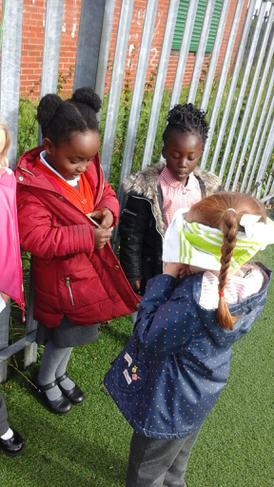 The children have also been taking photos of their bodies and they have been labelling their different body parts with initial sounds. 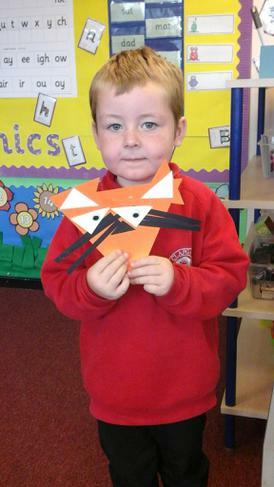 This week we have been continuing our learning about ourselves. 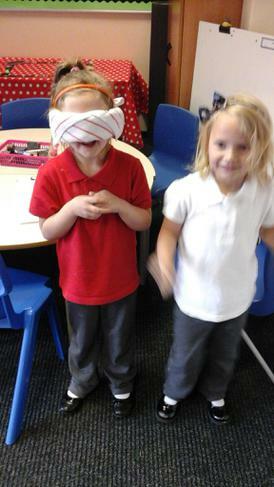 We have learnt that we have five different senses and what we use them for. 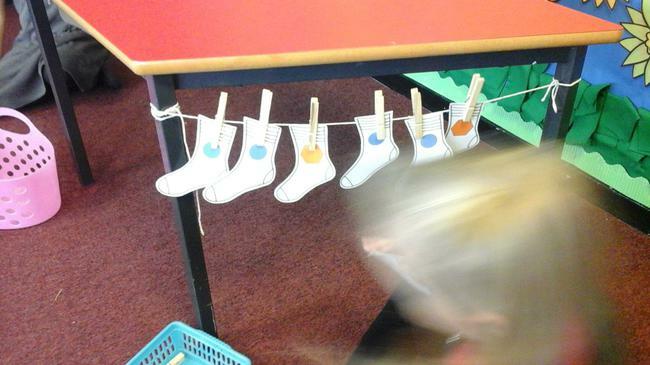 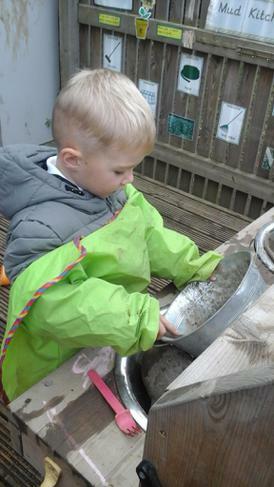 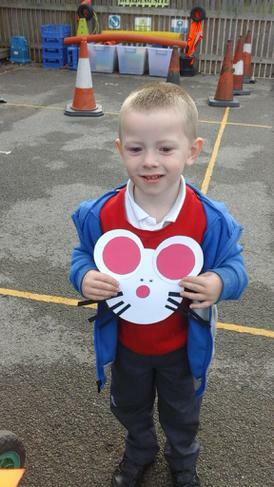 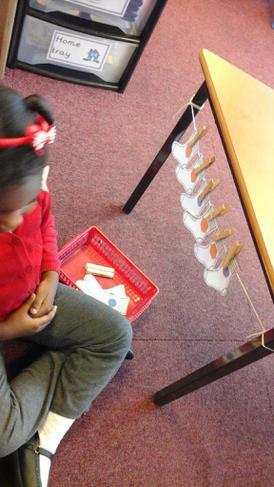 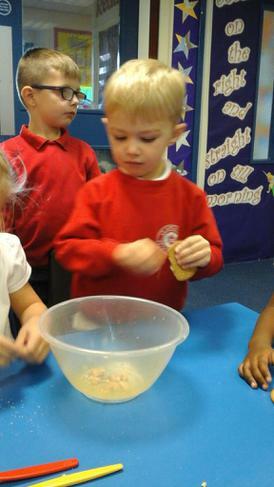 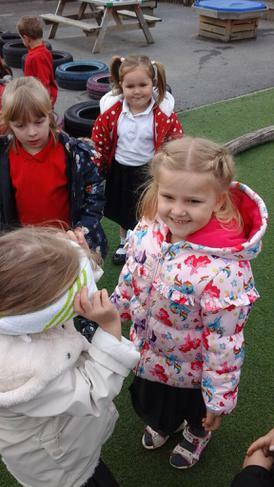 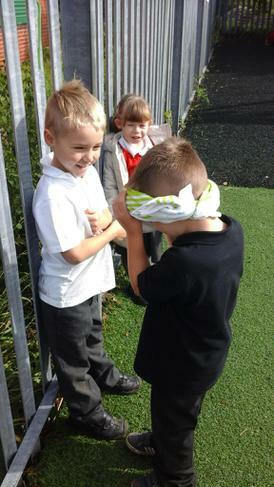 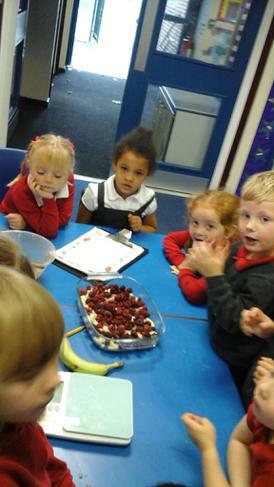 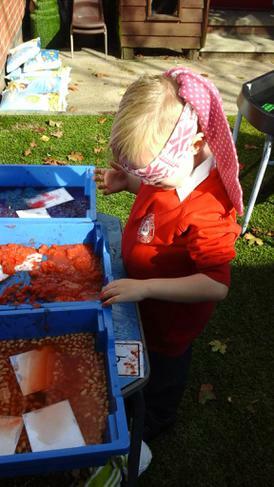 Throughout the week the children have carried out various activities that have involved them exploring their senses. 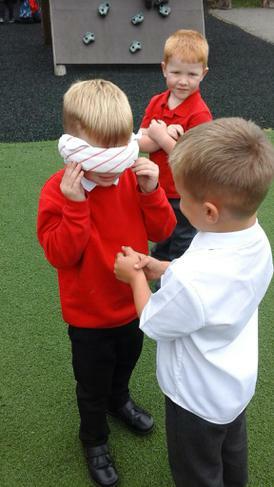 In Literacy, the children have made a jigsaw of their faces and then they have been labelling their senses by hearing the initial sounds in words. 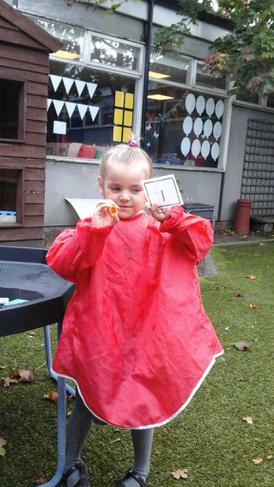 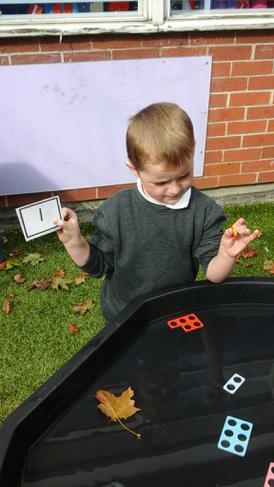 The children have been trying really hard this week with their letter formations! 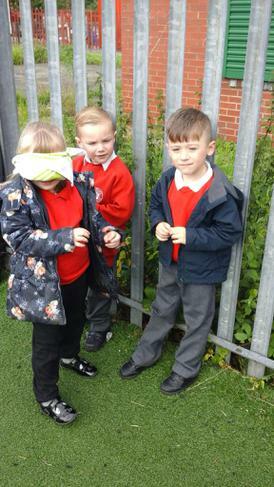 The children have also been predicting what different objects, noises, smells and foods were using their senses and they were writing their predictions down hearing both initial and end sounds. 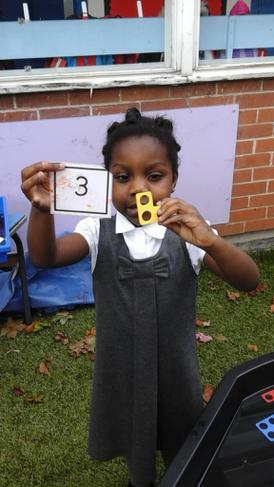 In Mathematics, the children have been using their sense of touch when printing the right amount of fingerprints to match different numerals. 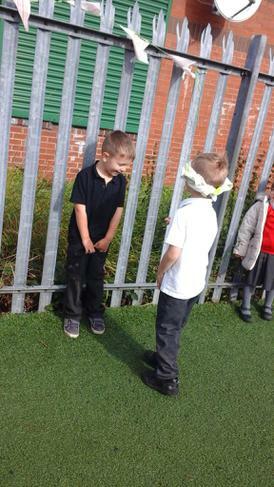 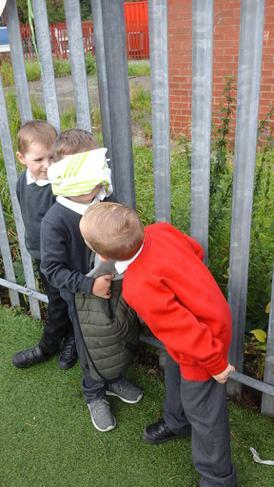 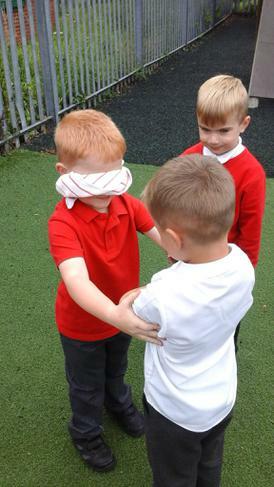 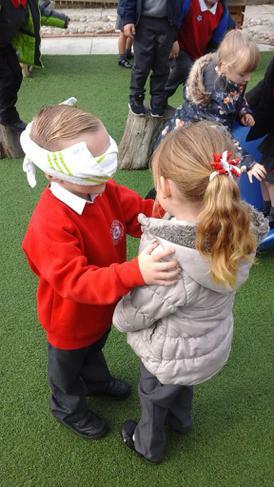 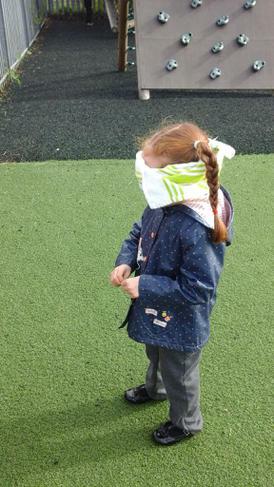 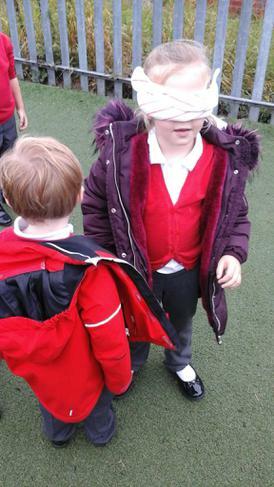 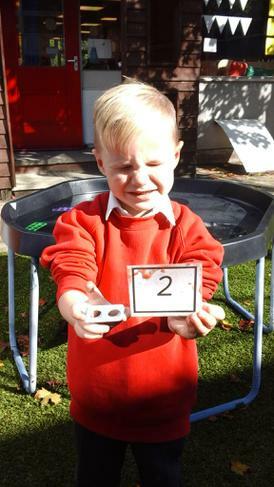 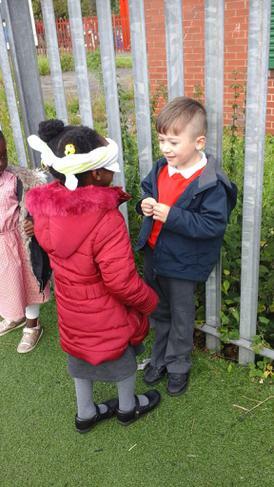 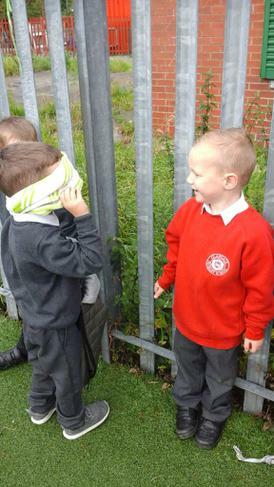 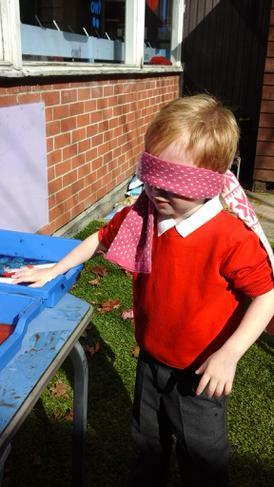 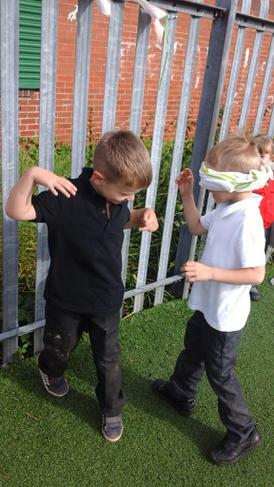 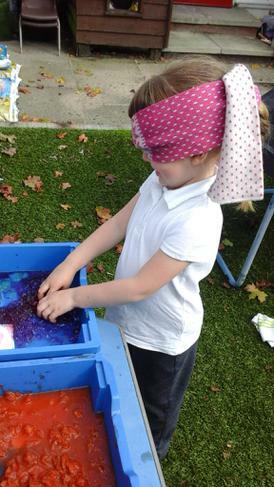 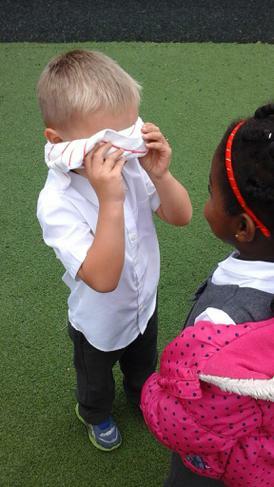 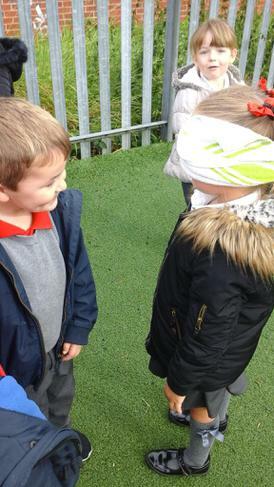 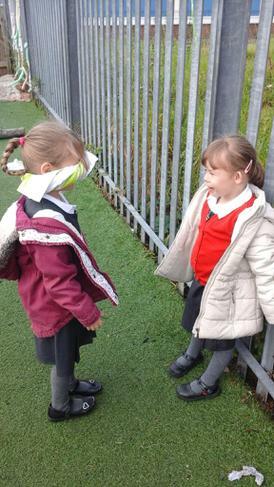 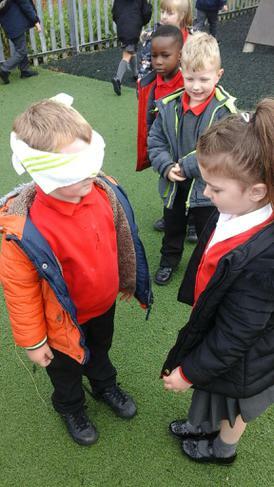 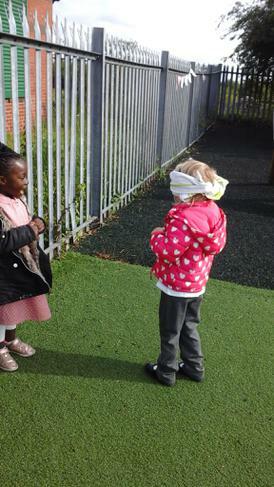 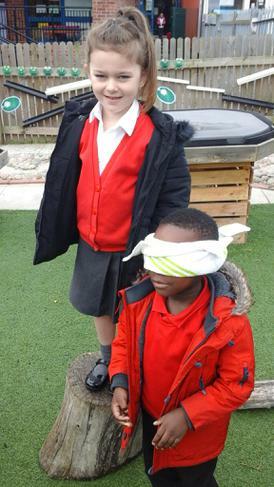 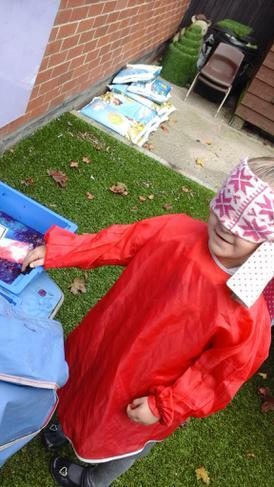 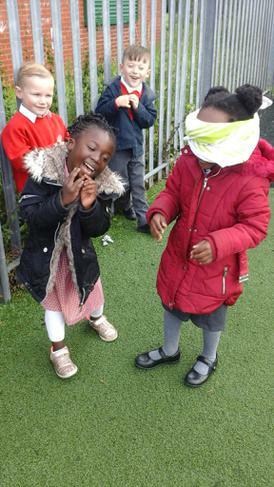 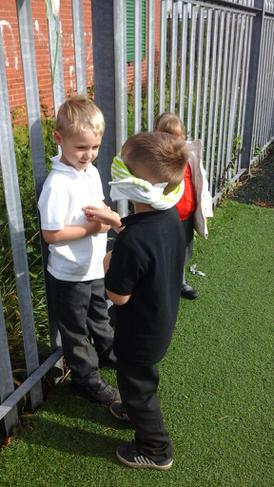 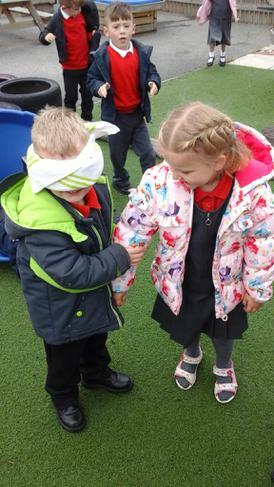 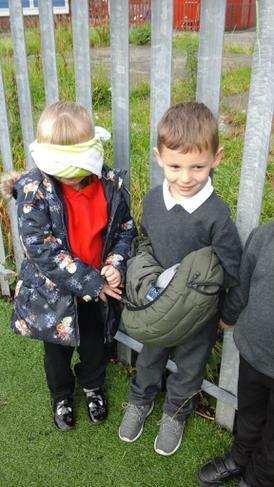 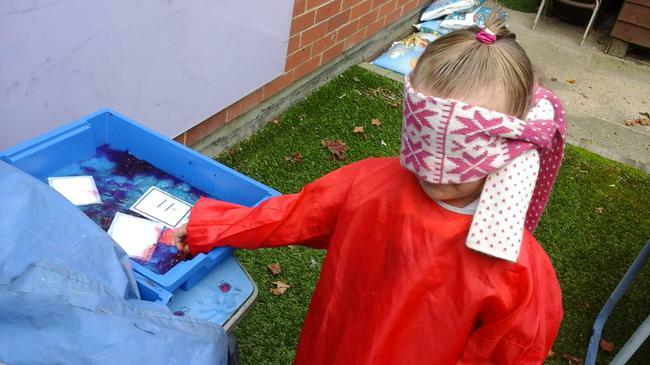 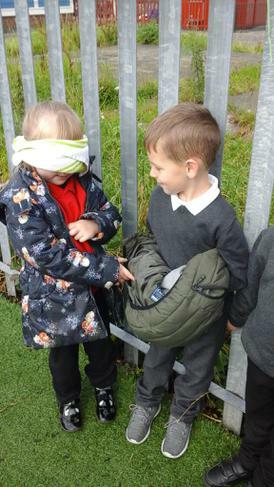 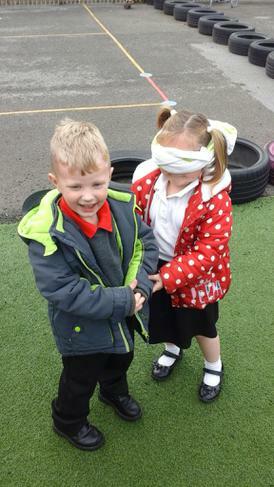 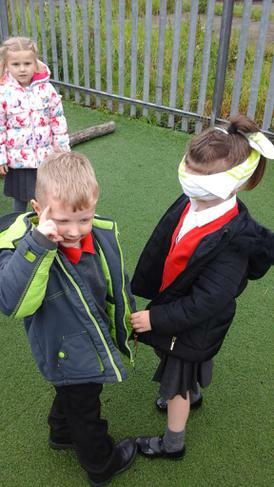 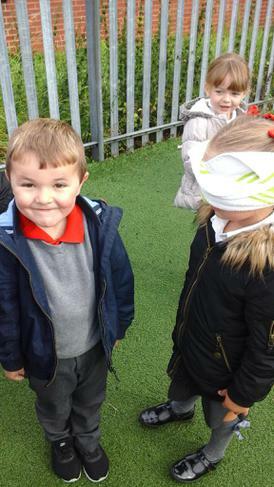 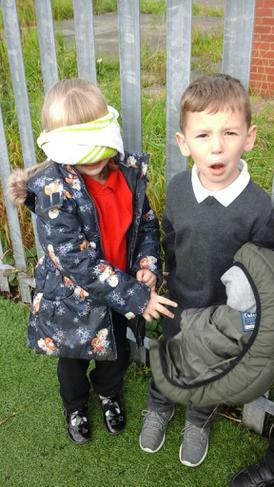 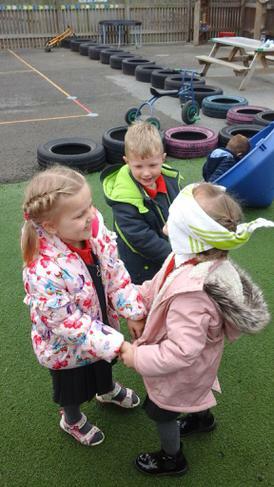 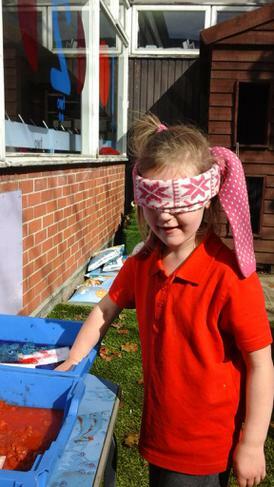 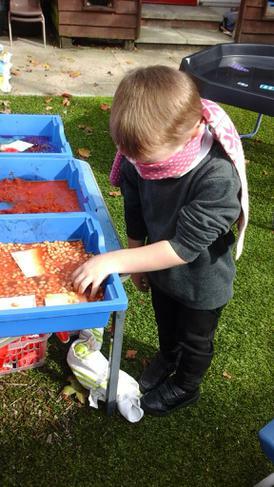 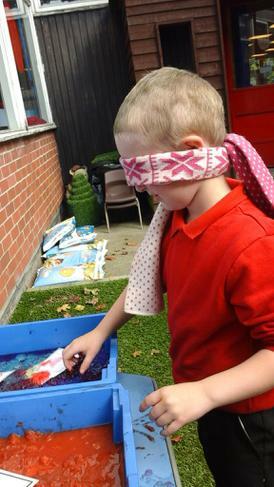 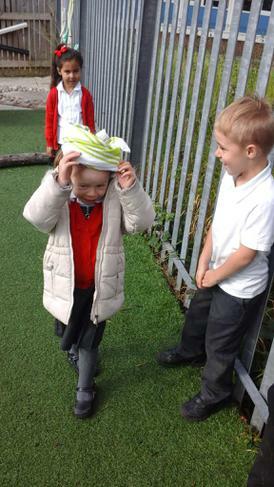 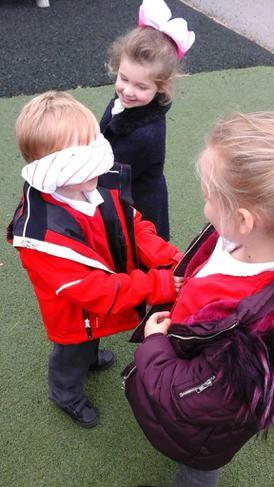 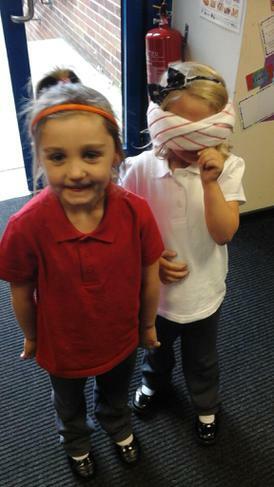 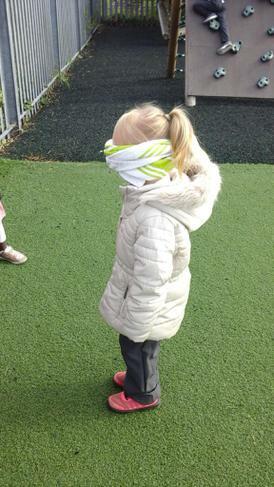 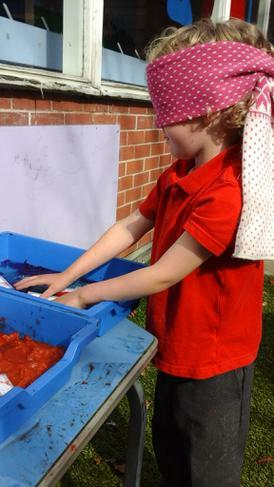 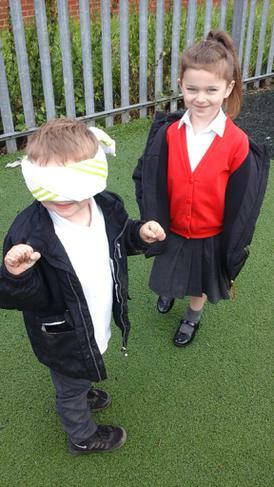 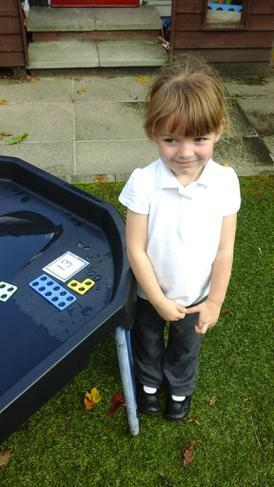 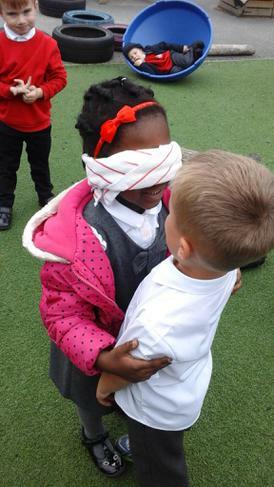 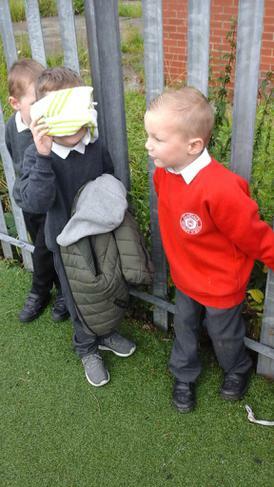 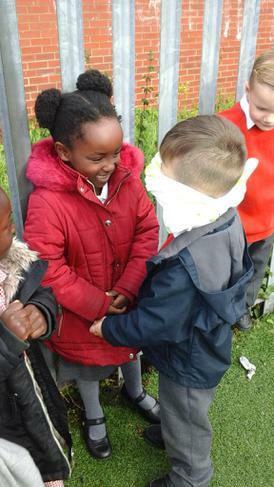 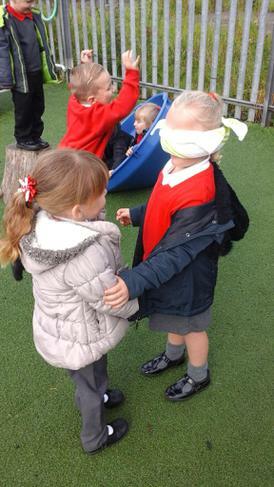 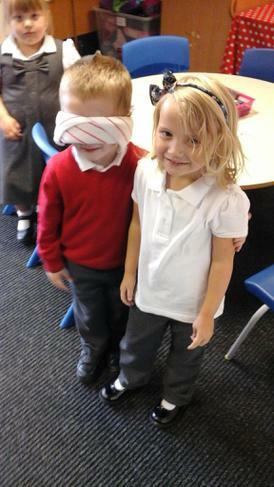 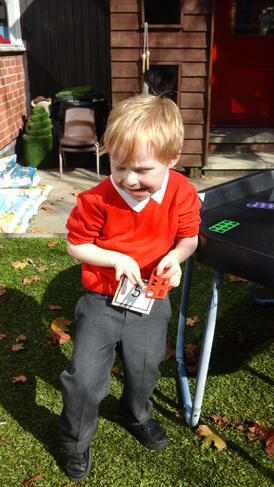 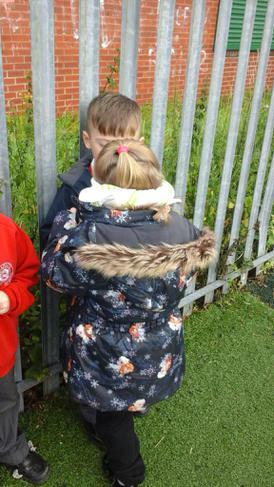 The children have also carried a number hunt this week, which involved them putting on a blindfold and exploring different sensory trays while trying to find numbers. 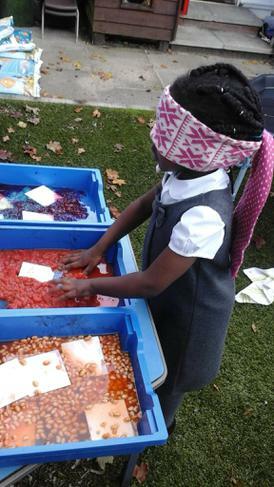 The trays were filled with baked beans, chopped tomatoes, spaghetti and jelly. 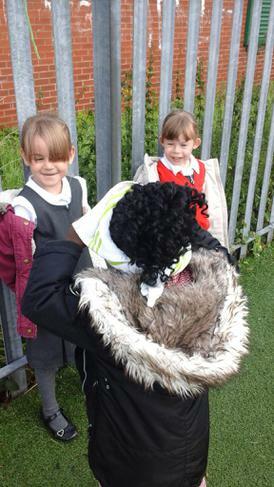 The children were encouraged to describe what they could hear and smell while hunting. 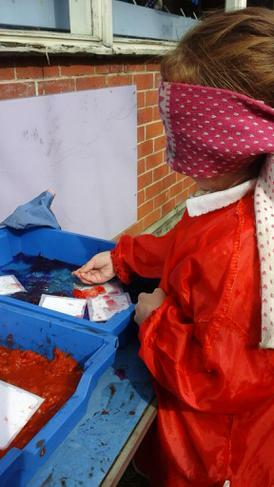 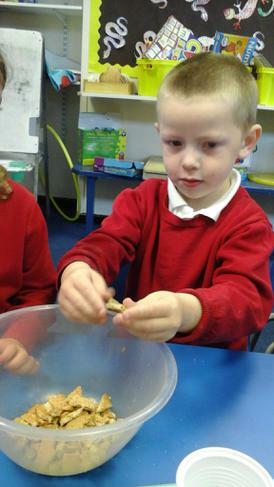 It has been clear to see that all of the children in RSP really enjoy getting their hands messy!! 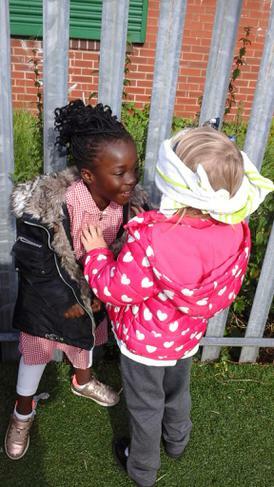 Over the last few weeks the children have been learning lots about each other’s families. 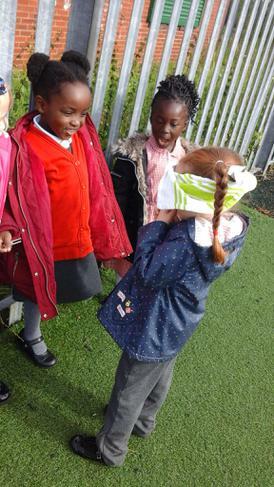 We have learnt about family routines and traditions and we have also thought hard about who is in our family and what they do for us. 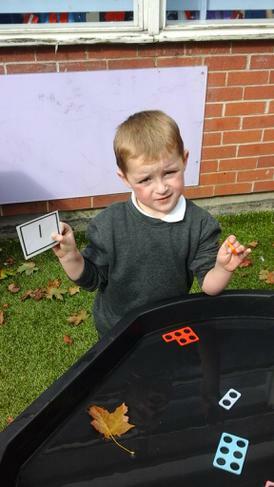 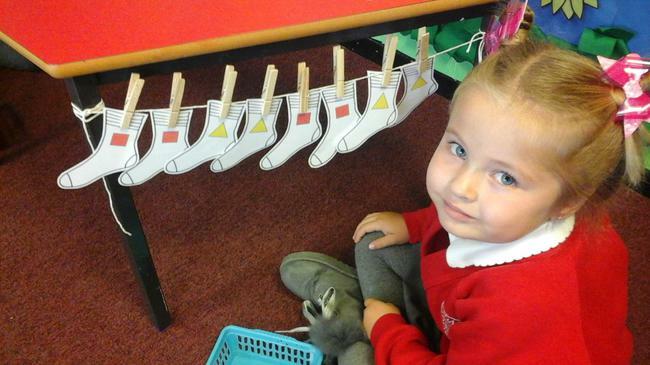 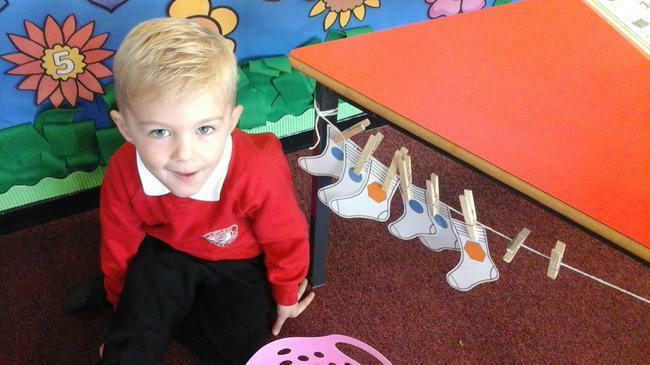 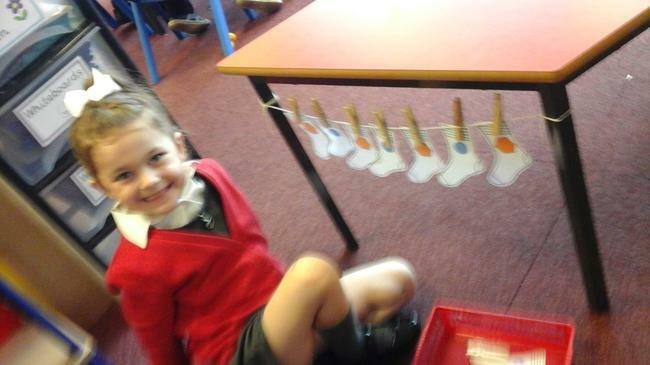 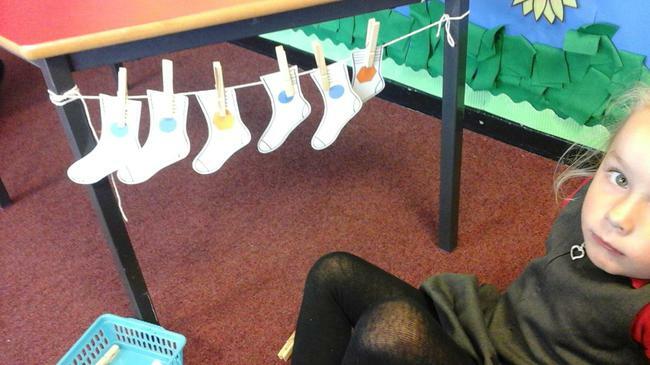 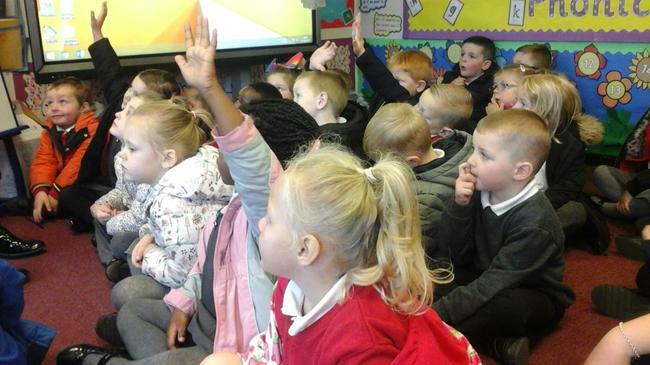 In literacy the children have been focusing on listening to the sounds they can hear at the beginning and at the end of words and some children have been trying to hear all three sounds in simple words. 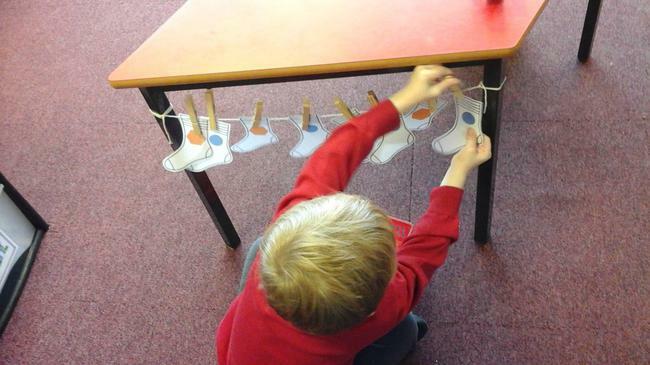 In maths the children have covered repeating patterns and they have learnt how to find one more than a given number. 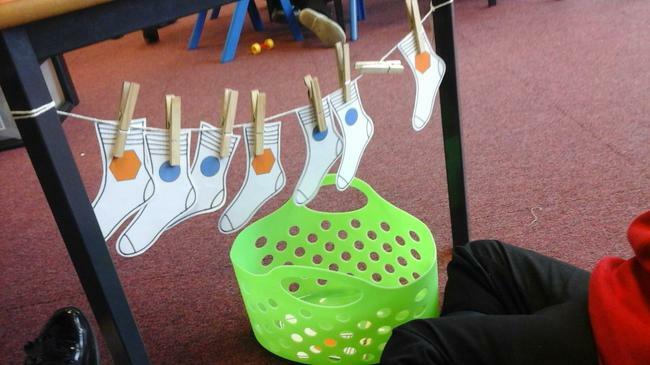 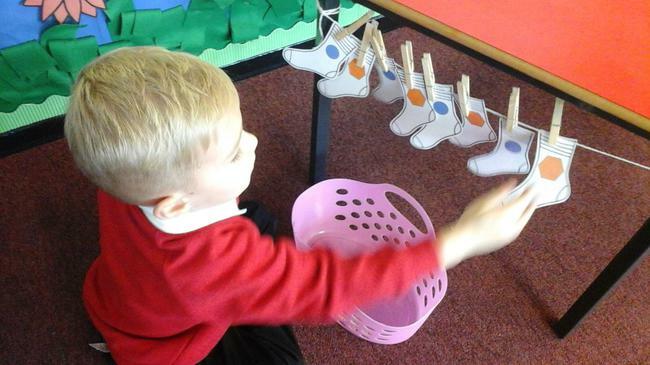 Other activities have involved the children making paper people, drawing who lives in their house, thinking about what we can do with our bodies, learning how to mix colours with our hands and learning how to sequence our daily home life routine. 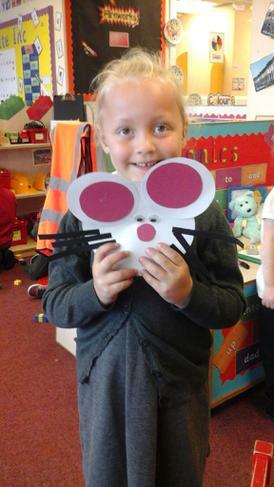 Over the last few weeks the children have spent a lot of time learning about the Gruffalo. 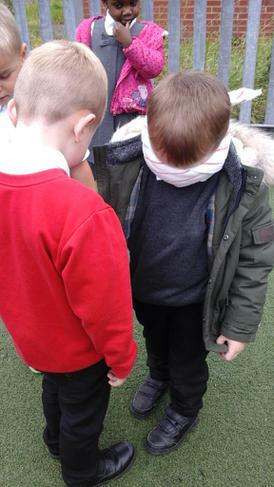 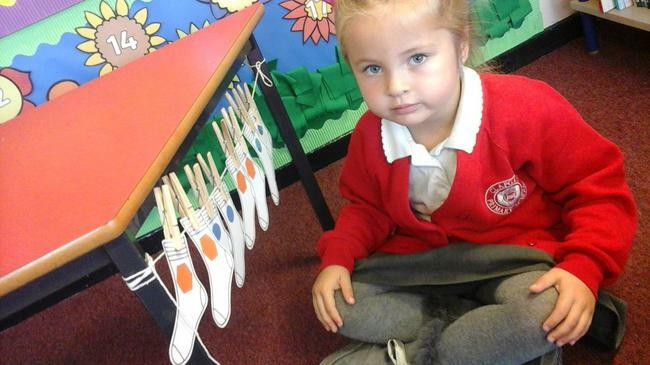 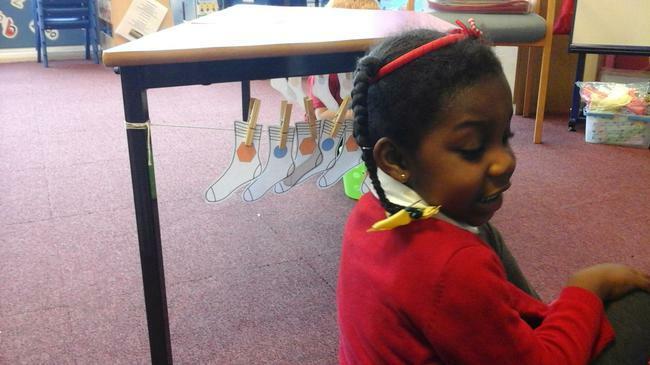 To kick start the learning the children found footprints in our classroom and they had to become detectives in order to find out who has been stealing things from our classroom. 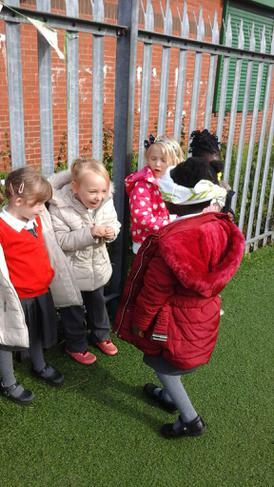 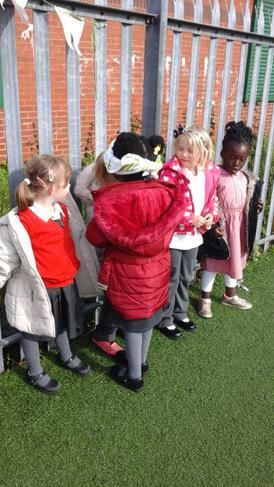 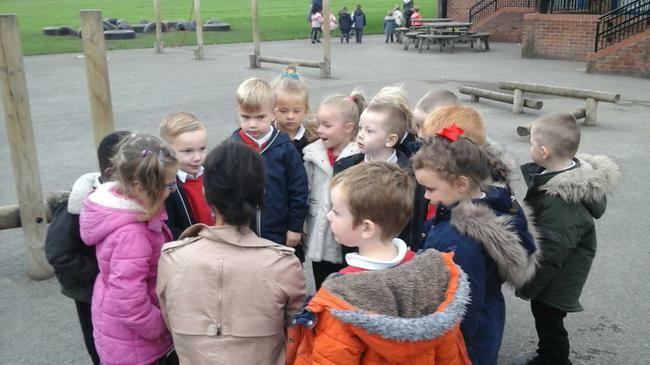 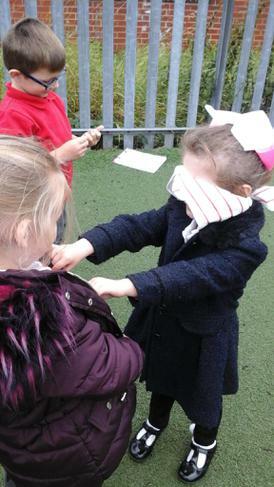 The children had to listen carefully to the clues and work out where the stolen objects were around the school. 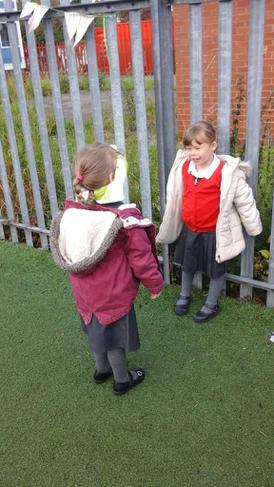 The children caught the Gruffalo red handed and then spent time writing warning posters to warn everybody about the Gruffalo. 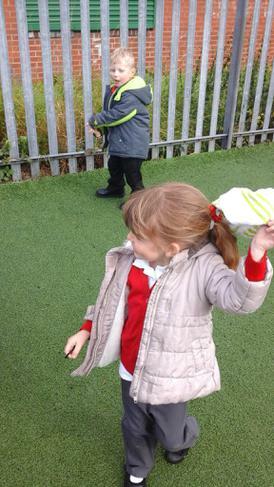 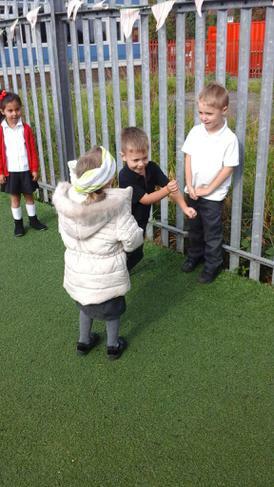 The children have also been on an autumn walk when learning about the forest/ woods as a story setting. 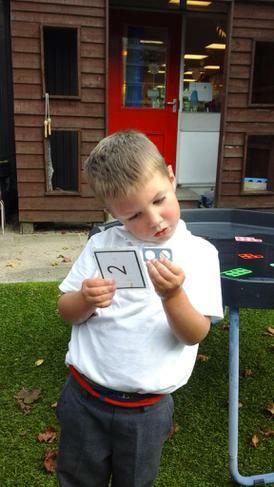 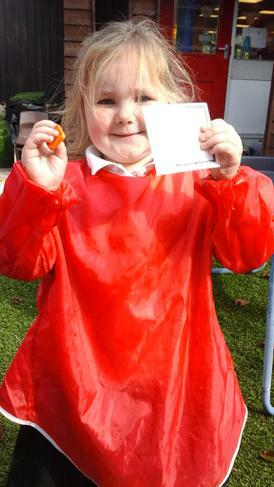 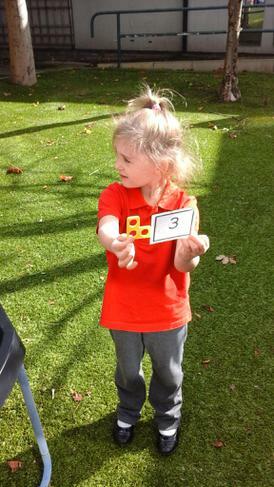 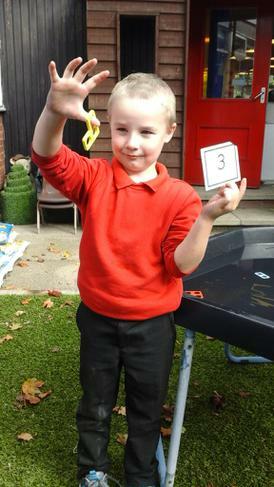 The children enjoyed labelling the objects that they found on the walk. 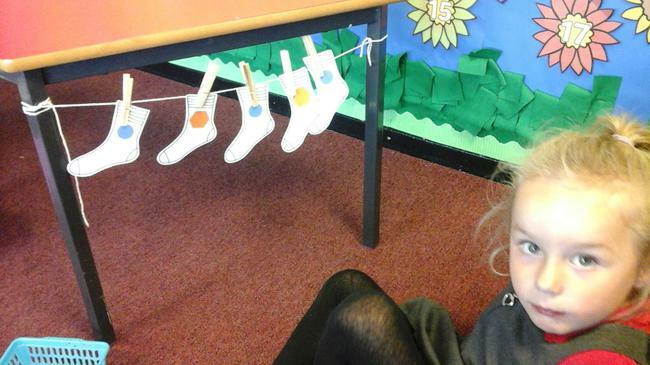 Some children have tried really hard when putting their words into sentences. 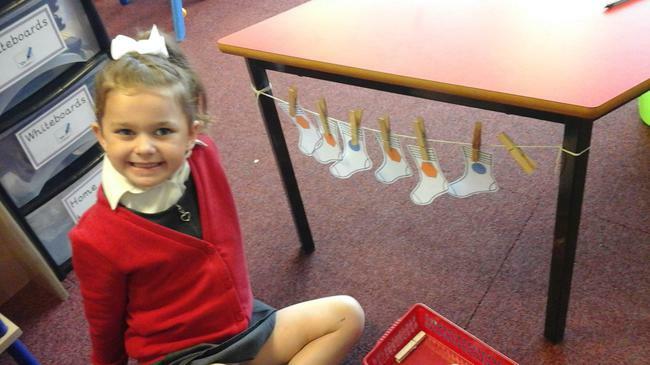 In maths the children have been learning about the properties of simple 2D shapes and they have been describing using the appropriate language. 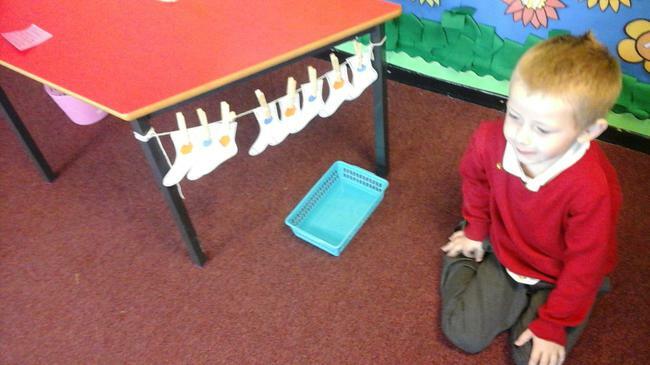 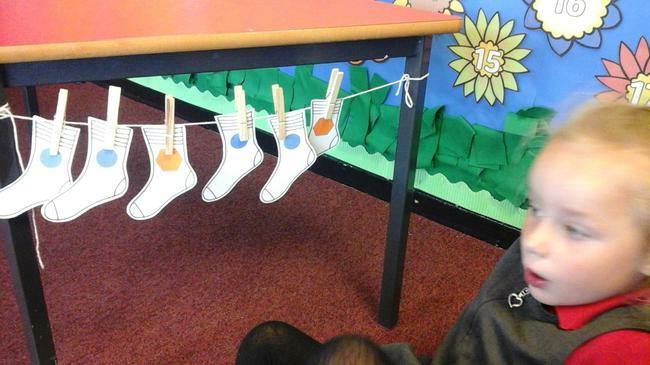 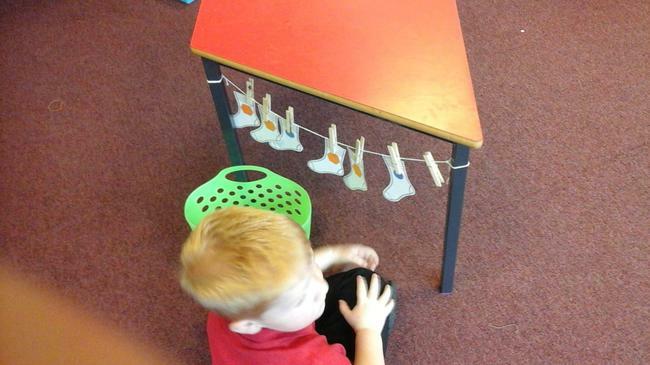 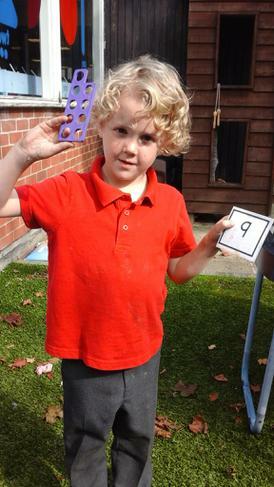 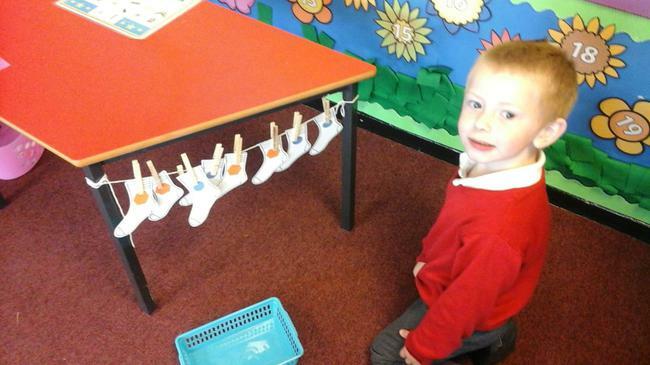 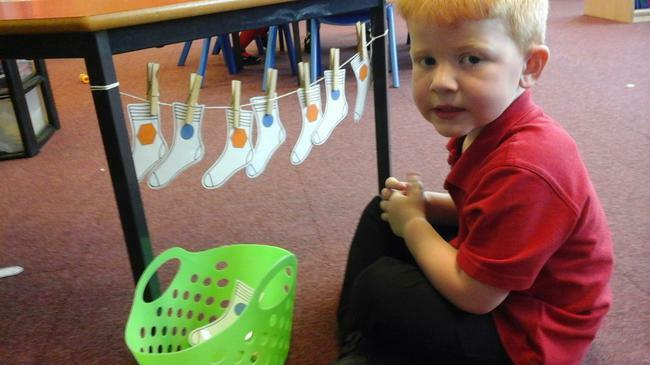 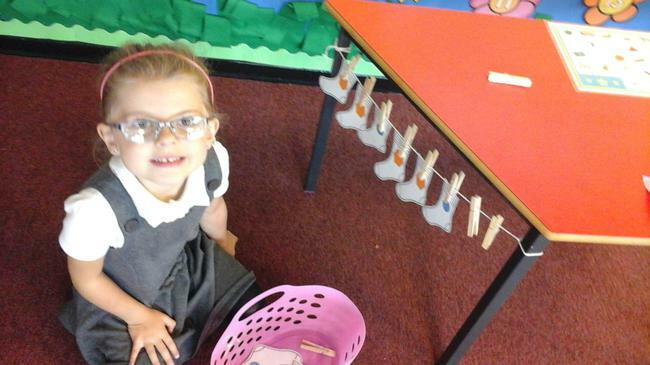 The children have also been learning how to combine two groups of objects together in order to find a total. 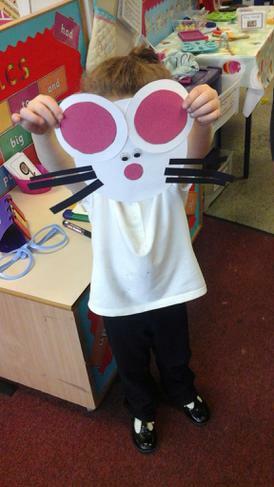 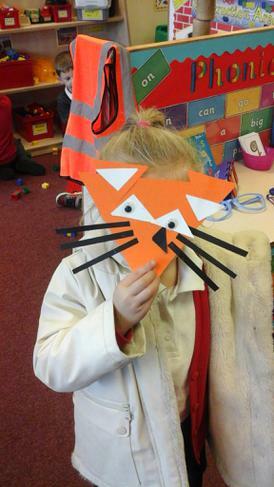 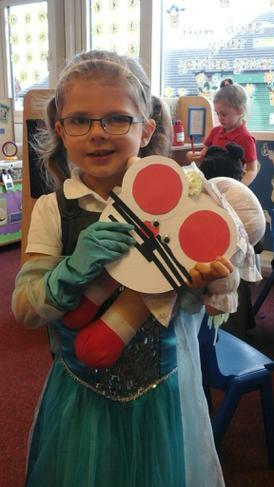 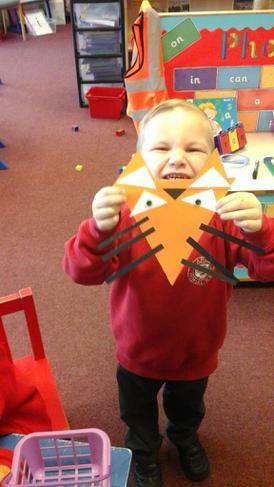 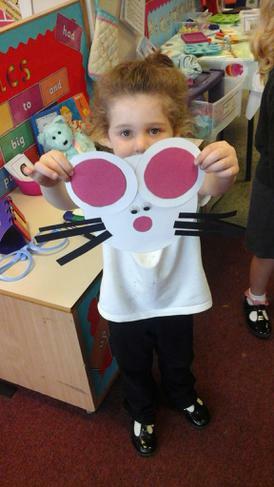 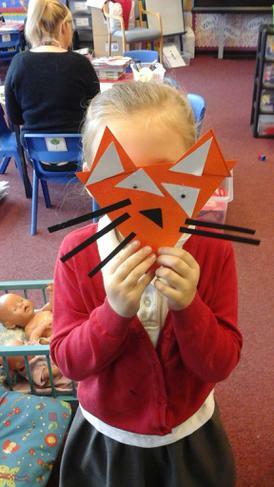 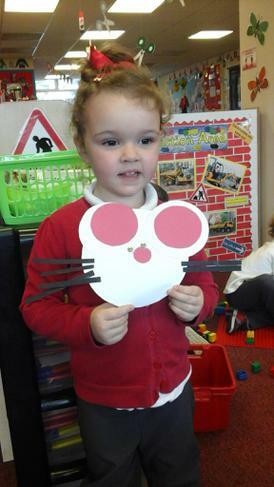 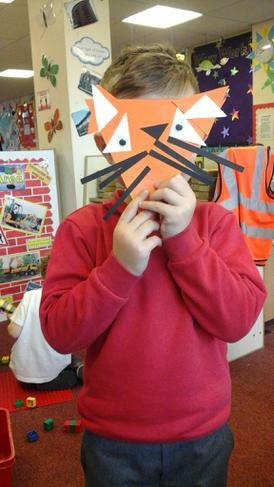 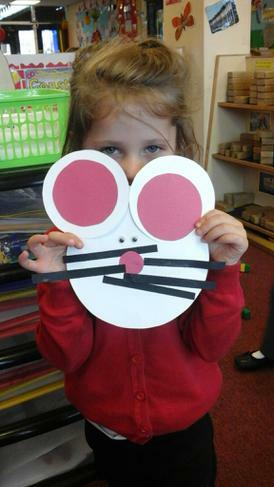 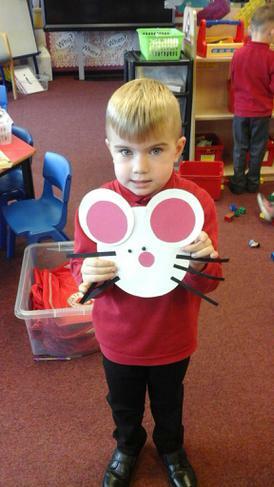 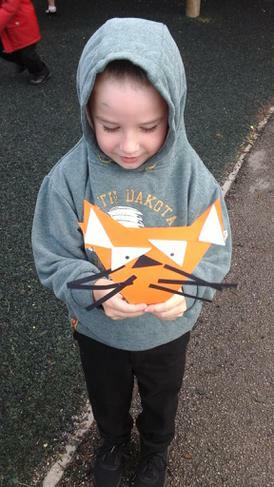 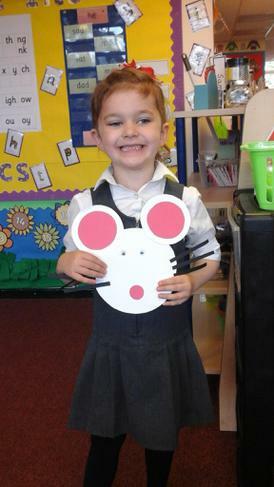 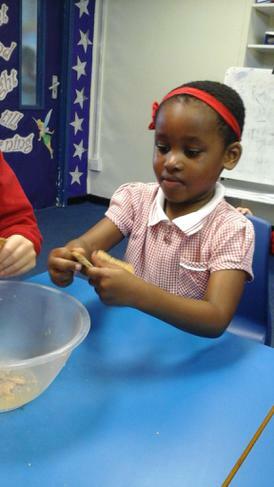 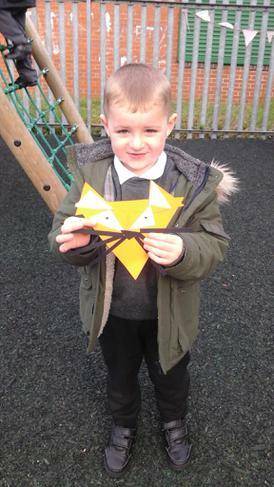 Other activities linked to the Gruffalo have included; threading Gruffalo characters using wool, repeating patterns using story characters, CVC mud writing, making Gruffalo crumble, making Gruffalo shape masks, learning how to collage story characters and learning the Gruffalo song.